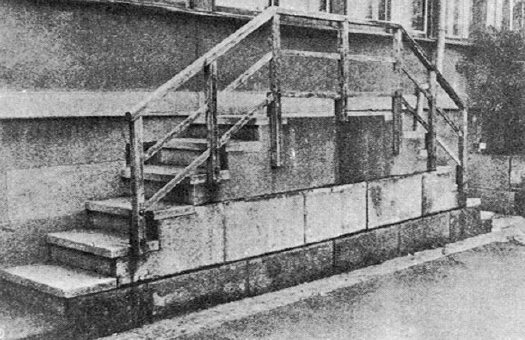 Japanese artist Akasegawa Genpei first discovered these bizarre relics in 1972 when he spotted a staircase that went up and down, but lead to no door. He kept noticing architectural leftovers like that one, and eventually wrote anecdotes about each of them in a magazine column. People soon caught on to his obsession and began sending him pictures of their own city relics. According to the podcast 99% Invisible, the criteria he used to decide whether a relic would be included in his column were twofold: it had to be truly useless, and regularly maintained. He gathered so many examples that he published a book in 1985, in which he referred to the curious pieces as "Thomassons." But where did this name come from? There was a promising American baseball player at the time named Gary Thomasson. His team traded him to the Yomiuri Giants, a team in Tokyo, Japan, for a handsome sum of money. Thomasson ended up losing his first game, setting Japan's all-time strikeout record in the process. Although he was benched for much of his contract, he remained on the team. Useless, yet maintained! Architecture is typically created with an economical eye, so why would we hold on to something that is no longer necessary? Possibly because it actually costs more to remove it. Once it's left there, people may cherish it as a quirky piece of art. How many Thomassons can you spot in your neighborhood? Watch the following videos to learn more about Thomassons and other architectural relics. Take a peek at artist Akasegawa Genpei's book on Thomassons. Learn more about Thomassons and explore more architectural relics with the Berkshire Museum. Novelty architecture helped attract customers to small businesses during America's Great Depression. See if you recognize a few.